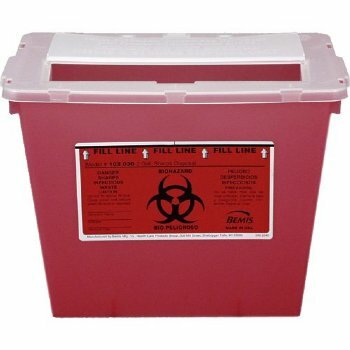 Provides open access for disposal of a variety of shapes and sizes of sharps, (i.e. needles and syringes, vials, test tubes and glass slides). Can be wall mounted or safely stands on table top or cart.